My Before & After Photos ~ Plant-Full to Nearly Plant-FREE! 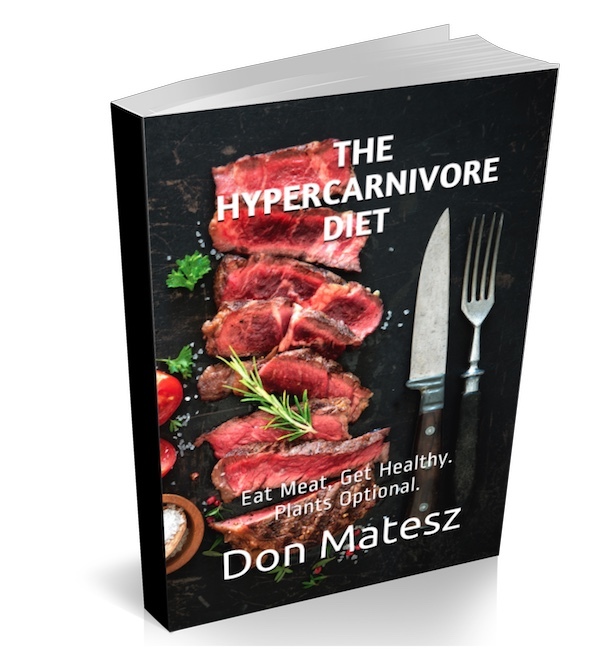 I actually first wrote this post towards the end of 2017, after having switched from being on a produce-rich, plant-based diet, to a low-carb, then very low-carb/ketogenic diet, which has morphed into our Hypercarnivore Diet. The original post is below, including all the pictures. Since it was on the original, Living Your True Nature blog, which has now changed into The Strong Spirit Path blog, I am transferring posts from those first several months of transitioning to an uber low-carb, ketogenic/hypercarnivore diet to here at TheHypercarnivore.com. I am now, as of December 2018, age 55, and continuing to feel ever better. I have ups and downs, as we all do, however, I do not have that intrinsic feeling ~ nor look ~ of accelerated aging, and ongoing fatigue. My skin tone and color are much brighter, less ashen, pale, and haggard looking. Another significant change has been relief from that lower belly kangaroo pouch! No more ongoing distention, bloating, and on and off constipation! Yahoo! I will always be someone who has to remain on a pretty wholesome routine, as stress and lack of sleep shows up quickly on my face ~ although way worse while vegan! While eating a plant-based and/or macrobiotic diet, I invested A LOT of energy into writing 4 different books, while also completing training as a macrobiotic counselor. 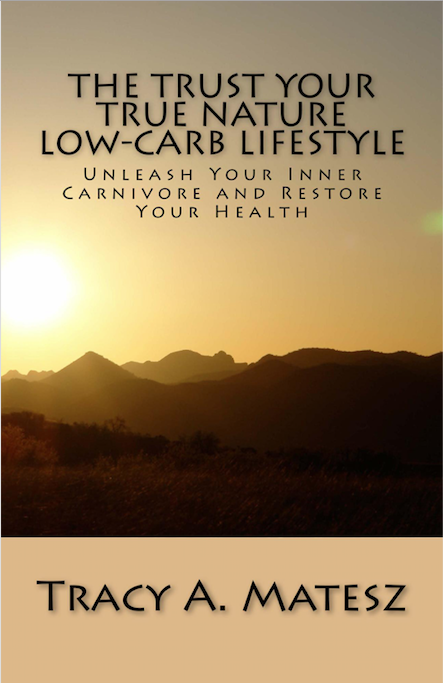 I ended my 'Macrobiotic Counselor' career before it started, having had my final case study project with a client who was familiar with macrobiotic diets. She tried them in the past, and found them to be quite restrictive, as some of the long time macrobiotic counselors recommended ridiculous sized portions. I helped her understand the principles and how to create a more ideal balance for her needs, all of which I wrote about in my Basic Macrobiotic series of books. She followed my recommendations briefly, and was enjoying the taste of the whole plant foods, and our more practical approach, relative to the other macrobiotic counselors and authors. However, shortly after, she returned to what she had been experimenting with of a ketogenic diet. In the end, the client coached the coach. Shortly after my consultation with her, we abandoned the plants, and switched back to eating an animal-based diet, as we were prior to going vegan. 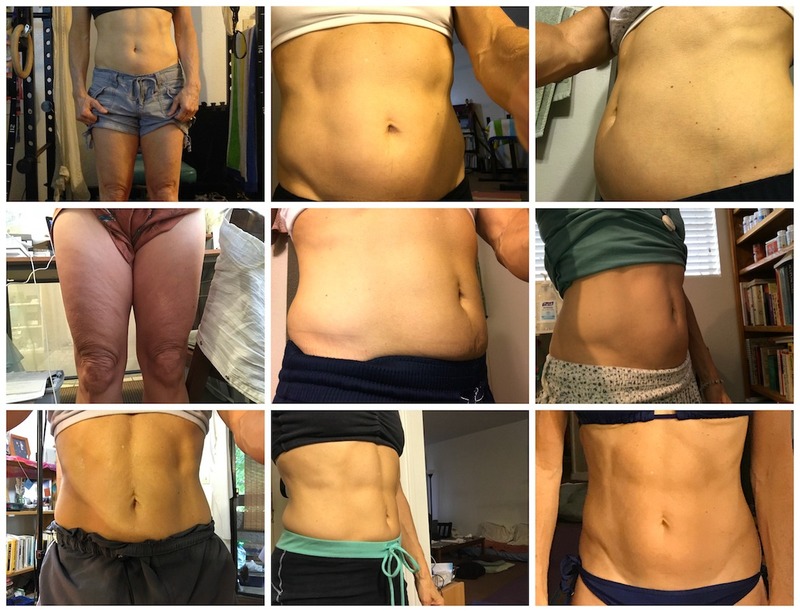 Then we went full tilt into a very low-carb, ketogenic diet, similar to our client. Apparently, my appearance changed dramatically enough for her to tell me how much better I looked. She was skeptical of following our macrobiotic approach, as she didn't find us to be convincing advocates! Many other clients also noticed! I made some dumb choices while vegan. The low point being when I was overcome with some need to donate all of our leather clogs, shoes, shearling boots, wool sweaters, belts, and more ~ tons of excellent quality items ~ in a moment of despair after watching Earthlings. Talk about the power of images to shape your thinking! If you have not yet watched that movie, DON'T! As if giving our well cared for quality items made an iota of difference, except to us as we regrettably gave them away! The suffering was long done. Humans have used animals to provide clothing and shelter, to work with, as companions, and as food for pretty much our entire evolutionary history. It's life. Nature made the rules, not we humans! There are parts of animals in nearly everything these days! These photos don't show just how much we donated of good quality items. The bins were full! 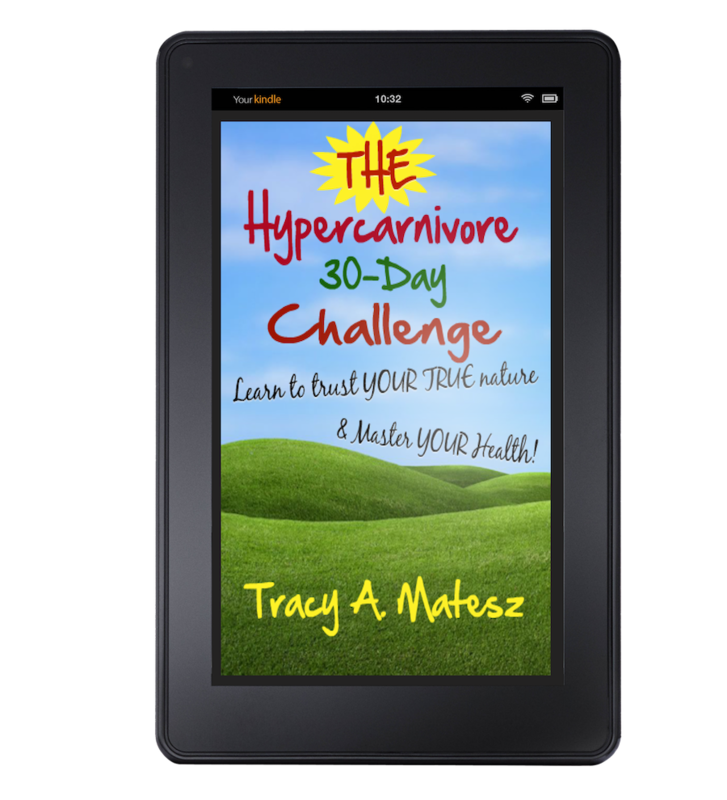 I have had to own up to my past choices, and retract my words, leading to this apology, and removing my FIRST FOUR plant-based and macrobiotic books from print, making them only available as FREE E-Books. Enjoy them as you wish, but PLEASE NOTE: I no longer advocate a plant-based, starch-based, or fruit and vegetable-based diet long term! These experiences ~ and having to be accountable for my errors, and choices made while under the influence of a plant-based diet ~ has thankfully helped me to transform myself into way more of who I know in my heart I was always meant to be ~ which is the crux of what The Strong Spirit Path blog, website, and YouTube channel is all about! We the people are being bombarded with messages to eat more fruits and vegetables. The logical conclusion many make is that more must be better. Meat, especially red meat and saturated fats are vilified. I still find myself unraveling from these belief systems, however, the proof has been in the proverbial pudding, or actual results, as seen in the pictures below, which were taken only months after changing my diet from produce-rich, to a nearly plant-free, hypercarnivore, low-carb, ketogenic diet. It's still considered 'extreme' by many to consume mostly animal foods. However, eating a diet that centered around animal foods and fats is the diet humans have consumed for thousands upon thousands of years. Don published a great article on his website comparing low versus high cholesterol, health risks, and how building muscle can improve health. It's an excellent article, and includes, as always, several research study citations. And, as if divinely timed, a new study indicates that it is the carbohydrates, especially refined and processed carbs that increase your risk for premature death, not fat. "People with a high fat intake -- about 35 percent of their daily diet -- had a 23 percent lower risk of early death and 18 percent lower risk of stroke compared to people who ate less fat, said lead author Mahshid Dehghan. She's an investigator with the Population Health Research Institute at McMaster University in Ontario. The researchers also noted that a very low intake of saturated fats (below 3 percent of daily diet) was associated with a higher risk of death in the study, compared to diets containing up to 13 percent daily." Still need more convincing? I highly recommend signing up for at least the free 30-day trial subscription with the DietDoctor.com, and watching Cereal Killers, parts 1 and 2, Fat Chance and The Big Fat Fix, along with their many excellent featured speakers. The food itself ought to entice even the greatest skeptics that this is an enjoyable and sustainable lifestyle. Here is a photo collage of my journey, from May through August ~ reprinted from the original post. The photos where I am super bloated was after a day of eating too much high fibrous fruits and vegetables. The top left photo was taken May, 2017, at the end of our five+ years following a whole-foods, produce-rich, plant-based diet. 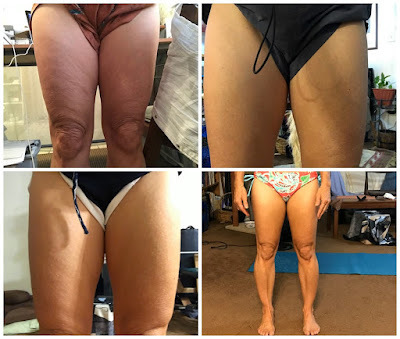 The bottom right picture was taken within 2-3 months of following our low-carb, ketogenic diet. While many never thought I had a 'weight problem' clearly, I had excess body fat in the lower belly, thighs, and my buttocks, not shown here. This is where excess fat tends to accumulate for those with metabolic disorder. I have a petite frame, so every pound shows up. You can really tell where the bulk of my effort is focused on my thighs. The lower right picture was taken August 30, 201, with visible improvement in four months. These photos were also taken summer, 2017, and were printed in the original post of that time period. Fat is NOT what makes people fat, unless they are eating too much of the pro-inflammatory commercial oils along with excess carbohydrates and refined sugars, or overeating total calories, including excess fat above and beyond what they are burning. 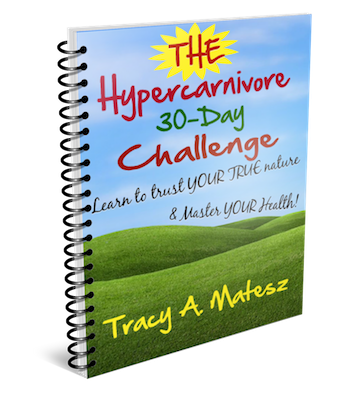 If you haven't already taken the 30-Day Hypercarnivore Challenge, what are you waiting for? Try this out for yourself! Need more help losing weight? Learn how to achieve your goals, and get from Point A, where you are, to Point B, where you desire to be ~ including your ideal weight ~ with these ten easy steps! My latest video, IMPORTANT MESSAGE! THINKING ABOUT GOING VEGAN? WATCH THIS AND THE VIDEOS LINKED IN THE DESCRIPTION FIRST!! !